The CEO of a rapidly growing company lamented this as we spoke about how he was trying to build a great company with a healthy culture. He saw the value of choosing to promote from within, but it wasn’t often leading to people being managed well. All the best intentions in the world hadn’t led to the company he dreamed of building; turnover and disengagement were common, especially with their front line employees. Promoting from within is a great idea for a variety of reasons, but your work is just beginning when you make the decision to do it. Done well, promoting from within rewards and retains your best people for the long term. It also helps strengthen your culture. However, if you don’t put the effort and attention into making those promoted successful, it can backfire massively. No one likes working for a leader that doesn’t know what they’re doing, and those failing in a new role will feel terrible. Today, we look at the most common mistakes leaders make causing the strategy of promoting from within to fail. Avoid these pitfalls and you’ll be much more likely to foster the company filled with great, rising leaders you aspire to have. Whether you’re planning on promoting from within in the future, or already have, there are things you can, and should, be doing to make it a successful process. Here are the most common mistakes people make and what to do instead. It’s amazing how often I speak with managers who recall how one day they became manager and were simply thrown to the wolves. A sink or swim mentality may work in some situations, but when people leave managers, not companies, that’s not a place to gamble if you value retaining staff. This means it’s on you and other leaders in your company to help your managers become successful. 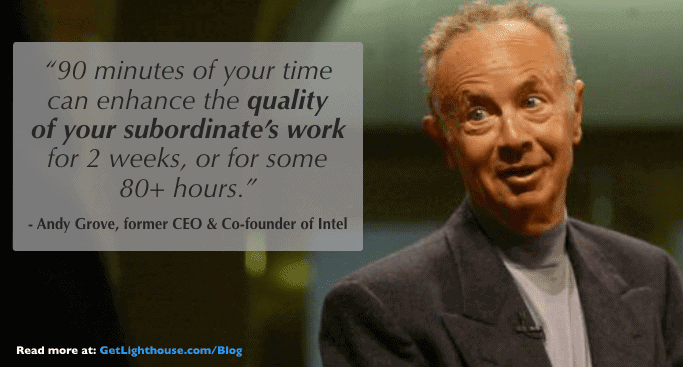 As Andy Grove writes in High Output Management, it’s especially the job of a direct supervisor to train their team. Too often, as someone rises in their organization they become more hands off with the people reporting to them. 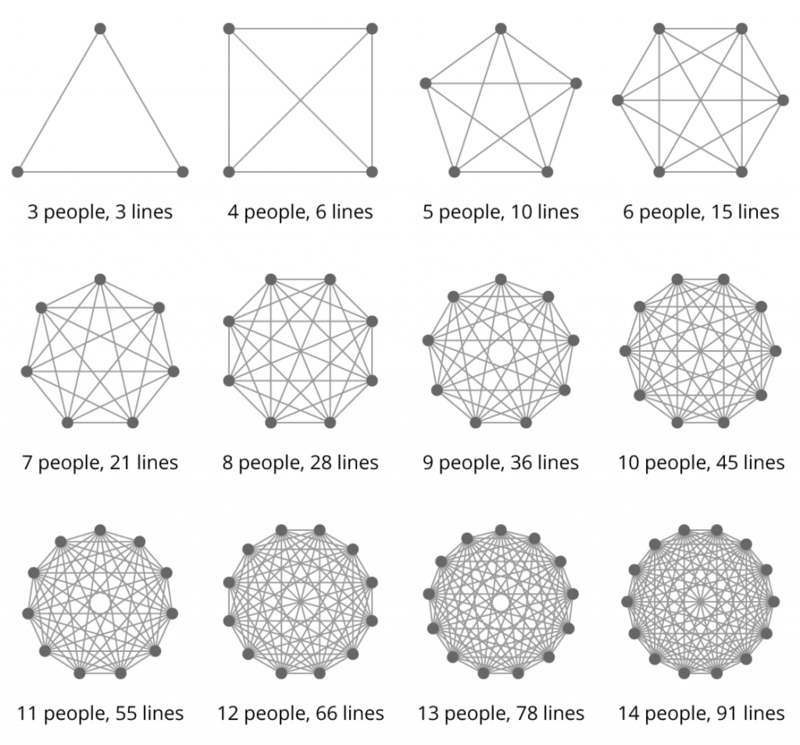 This can create a cascade effect of leaders not supporting their teams the whole way down the org chart. Don’t let that happen if you want promoting from within to succeed. Form a manager’s group where managers can gather and talk candidly about challenges and tactics that work. Get them great leadership books that highlight the kinds of approaches you want all of them to take. What makes a good managerial candidate? Clearly, you want to promote people who work hard, and embody the culture you want in your company or department. However, you cannot let that blind you to whether they have the skills needed to succeed in the role they’re moving into. No matter how talented someone is, eventually a new role they move into will be too foreign to what they’ve already learned to do. This is where they suddenly become ineffective and everyone under them suffers. Given how hard a shift it is from individual contributor to manager, this can often happen even at the first promotion. If someone isn’t interested in those things, then they are probably better suited remaining in their current role, or one that allows them to continue to do those things. Promoting from within successfully means choosing the right people for the right reasons. Mistake #3: Not preparing people before they’re promoted. It’s common for companies to make hiring plans. You need to know the budget you need for various roles, and how you’ll allocate your limited resources. Yet, too many companies stop there. Will you need new managers or team leads? Will there now be a layer of directors? With those answers, you now know what roles may have opportunities for promoting from within. Why wait until you need to fill the role to start talking to people about them? Preparation: Learning a few of the skills before they take the role avoids the Peter Principle. Fit: If you start the conversation early, they can get a better idea of the role to make sure they really want it. Best of all, this allows for a much smoother knowledge transfer. If you have multiple leaders rising in roles, they can much more easily share what it takes to succeed in that role while they’re still doing it. Once they’re in their new role, they’ll be just as immersed in figuring it out as those below them. A little planning ahead eliminates this cascading problem of unprepared leaders. 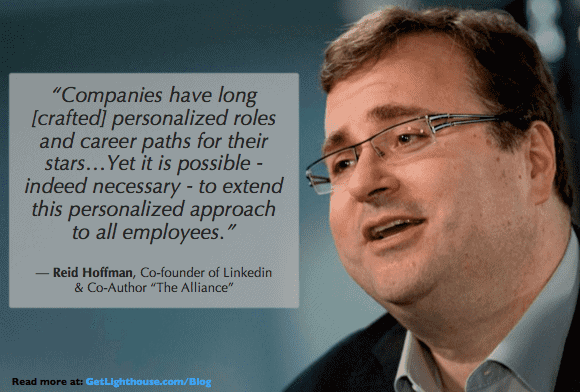 As Reid Hoffman wrote in The Alliance, and an overwhelming amount of data shows, people want growth opportunities. A common mistake many companies make is providing only one way to grow: management roles. If you make it possible for people to advance without going into management, you’ll avoid the double-layered problem of unhappy leaders, and poorly run teams. This is why companies like Netflix, Hubspot, and SEOmoz focus on multiple career tracks that do not all include management. Capitalize on your best people’s expertise by showing them how they can become valued experts in your organization, without having to manage people. Promoting from within often focuses on management and leadership roles, but it shouldn’t be the only way to advance. Not everyone that moves into a management role is going to be happy. When they realize the kinds of problems they deal with every day, and all the meetings they have to be in, they may yearn for the days of quiet work at their desk. Unfortunately, if management is the only path to promotion and raises, you run the risk of people grinning and bearing it. In order to make it safe to step back from being a manager, you have to confront and remove the stigma. Your people won’t admit they don’t want to manage if they’ll face heavy criticism or resistance to switching back to individual work. This is why companies like Netflix are rumored to literally celebrate such moves. “Steinmetz, a genius of the first magnitude when it came to electricity, was a failure as the head of the calculating department. Yet the company didn’t dare offend the man. He was indispensable – and highly sensitive. So they gave him a new title. They made him Consulting Engineer of the General Electric Company – a new title for work he was already doing – and let someone else head up the department. Promoting from within won’t always work out. Let your people save face when a new role is not working and you can help retain a great employee, and get them back to the work they do best. 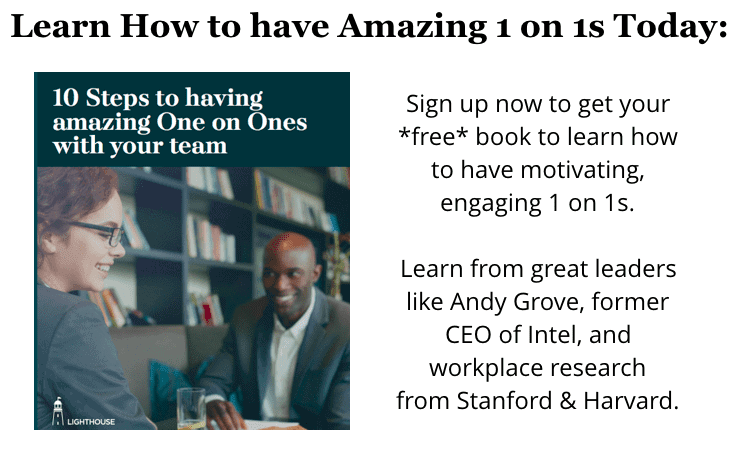 No matter your role in an organization, you can benefit from having one on one meetings. Having a regular time to ask questions, get help and advice, talk about recent events, and zoom out of the day to day is essential in any role. This is even more true when you’re brand new to a job, and filled with uncertainty and new challenges. 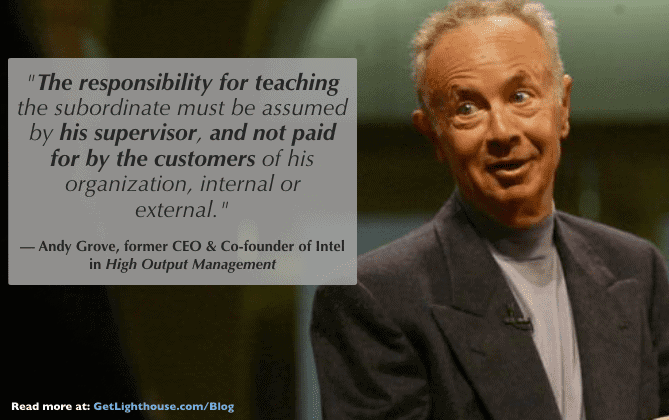 One of the most important management concepts from Andy Grove’s leadership classic, High Output Management, is Task Relevant Maturity: the less experienced someone is in their role, the more hands on support they need from their manager. When you’re promoting from within, it’s essential your rising leaders have ongoing support as they develop their new Task Relevant Maturity. Having consistent one on ones is the best way to ensure there’s time set aside for key coaching discussions and support. Otherwise, it’s unlikely to ever happen as day to day tasks and fires fill everyone’s schedules. A friend of mine was working at a rapidly growing startup and loving it: great teammates, fun culture, and challenging work. About a year into his role, they promoted him to manager. Suddenly, he found himself juggling individual work with being a first-time manager of 3 people. It was at times challenging, frustrating, and foreign. When he needed help most, his manager abandoned him. He went months without a one on one. Slowly, he found less and less joy in his work as he struggled silently with his team. By the time others noticed the problem, it was too late. My friend ended up quitting the job and moving to another company. This left his 3 direct reports unhappy, and his manager scrambling to replace a top performer. It’s hard to find consistent time on your calendar for growth and coaching discussions, yet they are essential to employee success and morale. For those recently promoted from within, it’s all the more important they’re given that time through regular, consistent one on one meetings. When a manager is doing a good job, one of the most common rewards is a bigger team. If you can manage 3 people, why not 5? If you’re handling 5, why not manage 7, 10, or more? Unfortunately, this can be too much of a good thing. Every person you add to a team increases the lines of communication geometrically; what it costs to add someone now is more than the last person that was added before them. There’s a reason almost everyone struggles with double digit direct reports, and the picture above shows why. Experts agree, from CEOs, to investors, to leadership experts that 7 to 10 reports is the most anyone can handle. 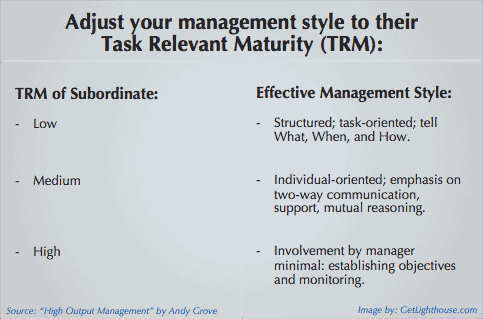 Managers feel constantly underwater, and can fall into reactive management mode constantly. Team Members feel neglected as there’s less time for everyone on the team. More problems emerge due to more intra-team communication, more personalities to manage, and less attention from their manager. Worst of all, when a team gets too big, managers lack the time to properly develop their team. This damages your leadership pipeline as we discussed in Mistake #3. The best way to avoid this problem is to be aware of the upper limit of effective team sizes. 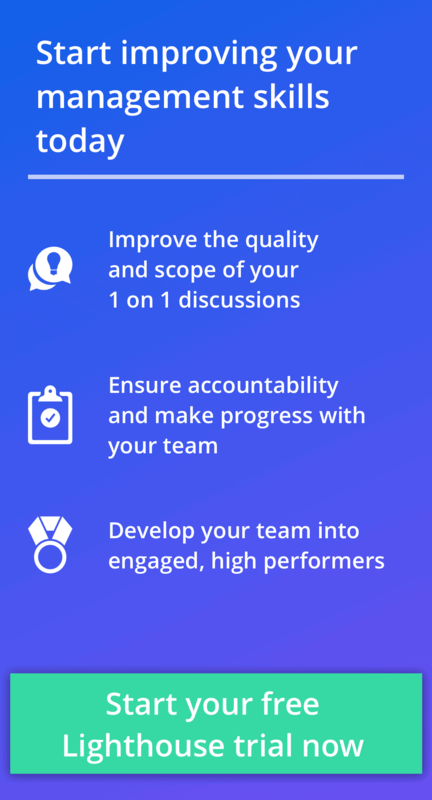 As a manager approaches 7 direct reports, start working with them to develop leaders on their team. Then, instead of adding 9, 10, or more people as direct reports, they can start handing reports to someone on their team. By anticipating the challenges of swelling teams, you help preserve the sanity of your best managers, and open up additional opportunities for new leaders to take on management opportunities. If you want your leaders to be caring, helpful coaches, don’t make your only evaluations and rewards based solely on hitting a number. The latter is how you end up with cutthroat organizations like Uber, who actively hid problems in the name of great performance. Performance and results clearly matter. However, if it’s actually causing massive turnover, how effective is the boiler room environment a leader creates? Replacing an employee can cost over $65,000, so burning and churning through staff gets expensive fast. 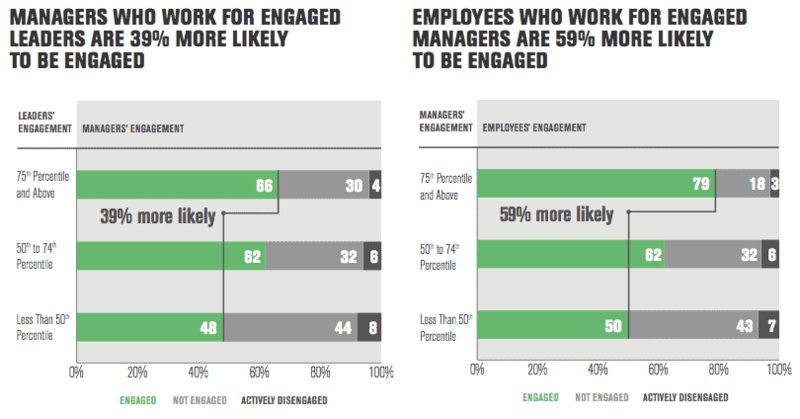 This is also why Gallup has devoted so much time to research what separates the successful, engaging leaders from all the others that have largely disengaged teams. These include findings that key drivers of engagement are things like manager care & approachability, focusing on their team’s strengths, and providing growth and development for their team members. If you don’t measure and reward it, how likely do you think most of your managers are to do these things? Google’s people analytics team has famously done quite a bit of research into what motivates people. They’ve studied everything from lunch behaviors (people eat less if you give smaller plates), to whether managers are needed (turns out they are). One of the most fascinating findings was what turned into their Upward Feedback Survey. 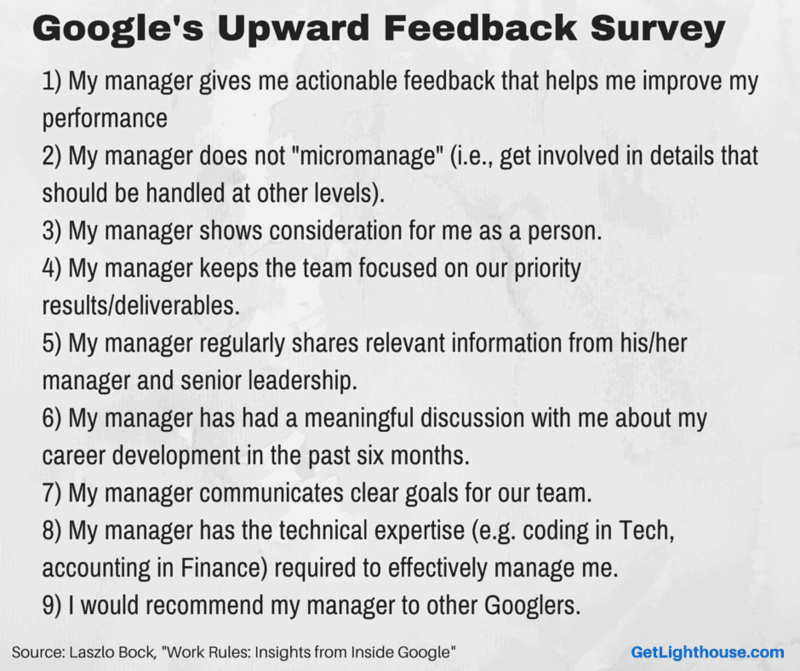 After extensive research, Google found that these questions revealed key areas that made managers successful. These anonymous surveys help them understand how managers are doing in those areas. Those scoring too low are helped to improve, or moved away from managing. As Peter Drucker says, “What’s measured improves.” You measure your sales and marketing funnel, and you should also measure your managers. If you value the people that work for you, then ensuring their managers live the right habits and values is just as important. Whether your focus is on driving high engagement, or simply preventing turnover, the habits your managers practice have a major impact. How you choose to measure them is a major factor in what habits they learn and keep. Whether you’re in a complex, matrix organization, or a company with a loosely defined org chart, it’s not always obvious who your manager is. That uncertainty can create many problems like the statements above we’ve heard before. 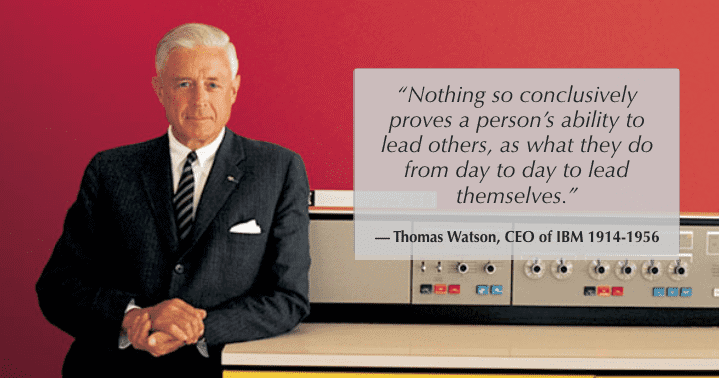 “Every company has a structure. If you don’t explicitly define your structure, then you are left with an implicit one, and that can stifle productivity. We had hoped that being flat would let us move faster and be more creative, but as we grew, we ended up with an unspoken hierarchy that actually slowed down our ability to execute. Give your people the certainty they need to be effective. Make it clear who they report to, and keep it simple. This is especially important when you’re promoting from within. If someone who was once a peer now has new decision making authority, you should make that clear for everyone’s benefit and clarity. No one has full context, because everyone only gets part of it. No one takes care of the team member, because everyone assumes someone else is. Accountability to the team member is lacking, because check ins are infrequent. If you are in an organization where it makes sense to have a mixed reporting structure, then one of the best things you can do is define responsibilities. In many ways, this could be the only mistake that matters. You could spend all the time in the world addressing the first 9 mistakes we’ve discussed, and none of it would matter if you set a poor example. No one likes a hypocrite. When you say one thing and do another, you’ll find it very hard to get people to follow what you say. Instead, they’ll look at your actions and use that to signal what’s okay. Uber’s CEO was known for calling Uber “boober” because of how it attracted women. Now, there’s a deep scandal of sexual harassment at the company. Zenefit’s ex-CEO wrote software to skirt regulators. Since then, the company has been found to have all kinds of cultural and regulatory issues leading to massive layoffs. If you want to bring change to your company, start with yourself. Don’t ask your employees to do anything you won’t do. Watch carefully the next time you’re pushing a new habit or behavior. If you make it clear and public that you’re doing it, you may be surprised how quickly others start picking it up. 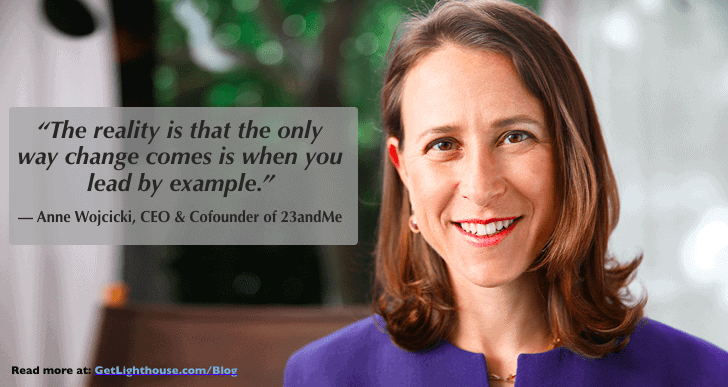 Decide what’s important in your company or department, and live those values and habits. Nothing else will have a bigger impact on the health of your organization. It will also ensure the success of developing leaders as you’re promoting from within; they’ll all be indoctrinated in how things are done from their own observations. What habits and values are you living? 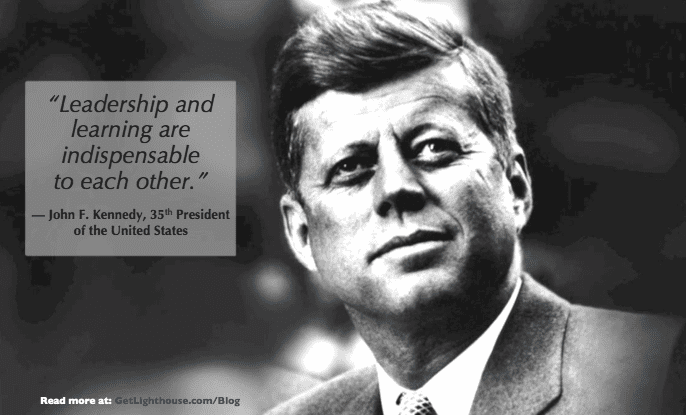 What example are you setting for your organization? Promoting from within is a great way to reward good people in your organization. With the right preparation, planning, and habits, you can make it a success. These common mistakes often hold back companies with the best of intentions. Hopefully, today’s post will help you avoid them in the future. Looking for help bringing consistent strong habits for all your managers you’re promoting? 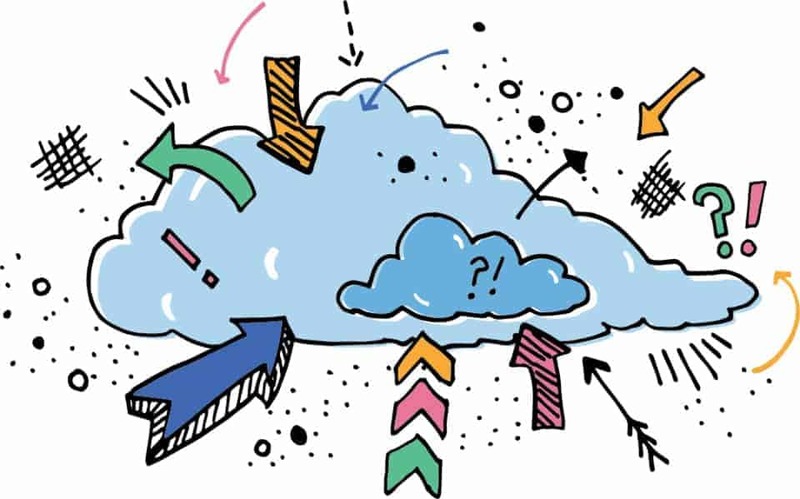 Learn more how Lighthouse software can help your managers, and schedule a demo to learn how we help HR/People leaders by clicking here.